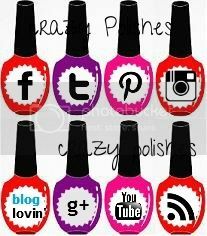 Crazy Polishes - nail arts, swatches, reviews Crazy Polishes: This or That!! 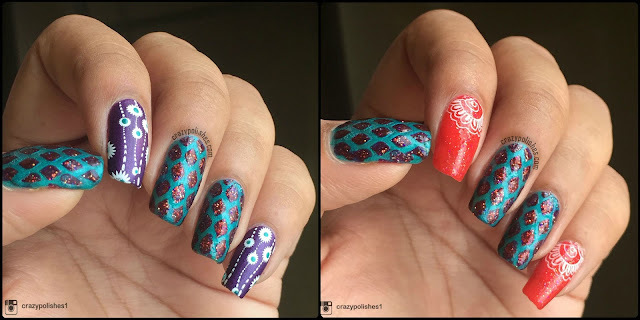 Today's manicure is basically two versions of same accent manicure. Two versions(red version and purple version) because i couldnt decide which one of them are better to share. So, I am sharing both of them and leaving it upto you to decide. Though, I liked it at first but my hubby disagreed, so i had second thoughts and replaced the red nails with purple base. oh and i completely forgot to mention that i used same red glitter polish on accent nails for diamond design. Because of the dark base, the red polish is looking maroon here. So, which version you like better?? Share your thoughts in comments below.